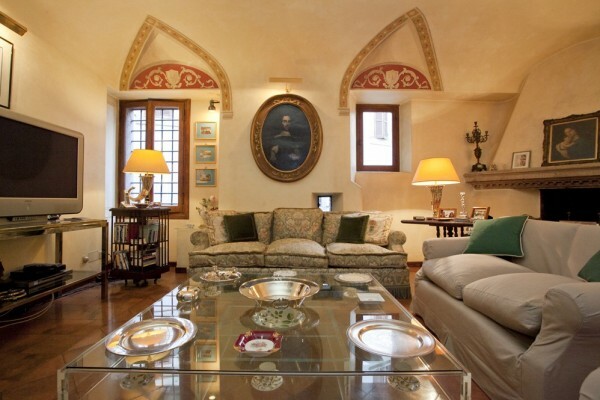 We were offered the opportunity to experience a three night stay at one of our finest rental apartments in Rome a few weeks ago – an offer too good to refuse! A trip to Rome is always tempting anyway, but even more so when leaving London temperatures of around 13 degrees, for a weather forecast of sunshine and 26 degrees. 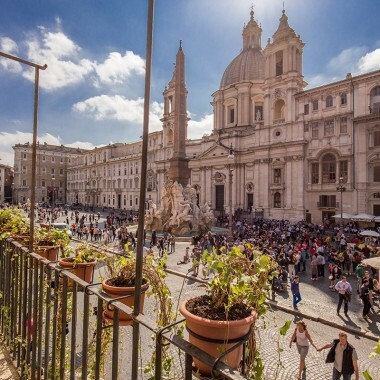 We flew out from Gatwick, and took a pre-arranged transfer into the centre of Rome, to our apartment just off Via dei Coronari, close to the Piazza Navona. Arriving on a warm sunny evening , the area was absolutely buzzing with activity, with everything from noisy vespas, to locals and tourists spilling out of bars and restaurants onto the street, to long trails of tourist groups trying to keep up with the tour leader. So much so that our driver had to give up trying to negotiate the picturesque cobbled street of Via dei Coronari, and drop us off at an archway just a few seconds away from our destination at Via della Pace. Despite the apparent chaos of central Rome on a summer evening, you are immediately drawn into the festive atmosphere, and somehow it all works! We had been recommended the wine bar/restaurant Cul de Sac in Piazza Pasquino, just off the Piazza Navona, for our first evening’s dinner. The name apparently comes from the long, narrow bar with a series of wooden benches, reminiscent of train carriages in the 1960’s. 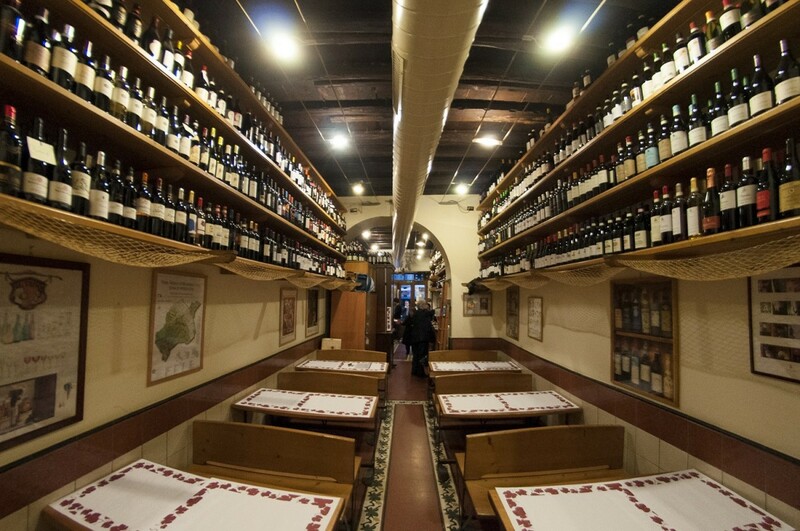 The wine bottles lining the walls on each side are very impressive! You can’t book at this restaurant, hugely popular with both locals and tourists, but you can drop by and ask them how long the wait will be, and they will take your name and give you a time (not usually more than half an hour) – so you can wander off and have a glass of prosecco in the Piazza Navona while you are waiting. The food is hearty Roman fare, tasty and unpretentious, and moreover reasonably priced. 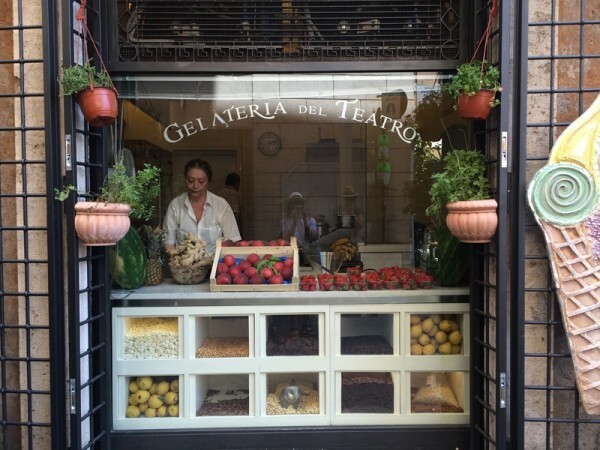 And, if you are still hungry, make sure you stop off at the Gelateria del Teatro, one of the best gelaterias to be found anywhere! If you are only in Rome, as we were, for a few days, you might like to divide your days into walks exploring a few of the main areas. Central Rome is actually very walkable but, with examples of so much magnificent history at almost every step, be prepared to be regularly diverted! We would recommend the Colosseum, the Forum and Monti on one of your days. In fact, this is another area we would recommend you stay, as Monti is a charming unspoilt ‘quartiere’ and incredibly easy for getting around the main sights on foot. We offer several beautiful apartments in Monti, as well as one with views over the Roman Forum and another with uninterrupted views of the Colosseum. 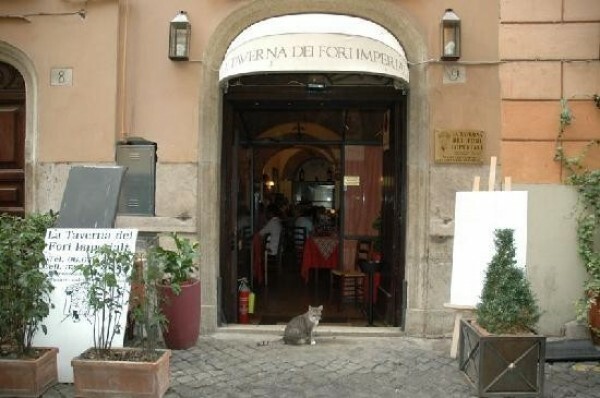 For dining out in the Monti/Colosseum area, we highly recommend lunch at the family run gem of a restaurant, La Taverna dei Fori Imperiali. The homemade pasta here is some of the best we have tasted, and the clientele is noticeably predominantly Italian. If you are looking for a lighter meal, La Bottega del Caffe is another favourite, which we return to again and again, if only for the delicious focaccia with olive oil and thyme, with a salad, or just to relax in the sunshine with a coffee or glass of wine. Situated in the delightful Piazza della Madonna dei Monti, just minutes away from the frenetic Piazza del Colosseo, it is the perfect place to sit and watch the world go by. On Day Two, we recommend spending some time in the Piazza Navona to see the famous Bernini fountain, La Fontana dei Quattro Fiumi. Even with the higher priced cafés and restaurants around the square itself and the inevitable street buskers, it is worth taking time to admire the art and architecture here. Then head south to the lively Campo dei Fiori, and be tempted by its enticing food and flower market. From here it is an easy walk across the Tiber River (via the charming cobbled street, Via Giulia, the oldest street in Rome) for an evening meal in the Trastevere, a picturesque, medieval area with a great sense of history, not to mention an enormous choice of restaurants. 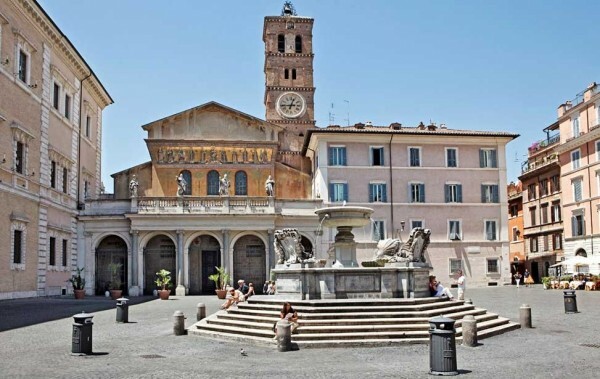 The main square, the Piazza Santa Maria in Trastevere is a delightful place to stop for an aperitivo. In the quieter Piazza di Santa Cecilia, close by, you will find another lovely family run restaurant called Roma Sparita. A reasonably priced restaurant, you won’t go wrong if you order its signature dish, Tagliolini Cacio e Pepe (cheese and pepper), which has earned a mention by no less than Anthony Bourdain! 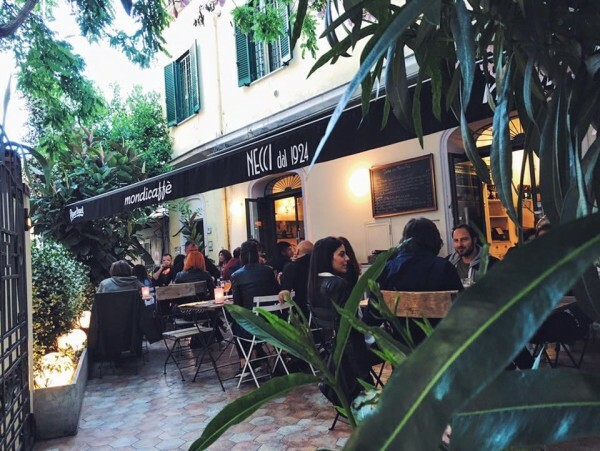 If you have time, and in foodie mode, it is also worth exploring Pigneto, an up and coming area east of Trastevere, popular with artists – and perhaps most well known for its association with Italian cinema. Head for Bar Necci dal 1924, which in the 1920’s, was a meeting place for intellectuals. The Italian film director Pier Paolo Pasolini once rented a room above the bar and, while there, filmed Accattone . The famous neorealist director, Roberto Rossellini filmed Roma, Città Aperta in the area. 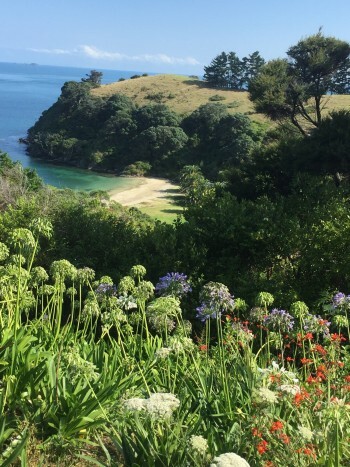 Necci’s welcoming website describes it as a ‘relaxing oasis in a chaotic city’ and invites guests to relax for breakfast, lunch, an apertivo or dinner. Along with the Colosseum and the Roman Forum, three of Rome’s most impressive sights are the Trevi Fountain, the Pantheon and the Vittorio Emanuele II monument, which can be visited on Day Three. The latter will be spotted many times as you walk around Rome, mainly because of its sheer size, and its location on Piazza Venezia, right at the bottom of the main shopping street, Via del Corso. 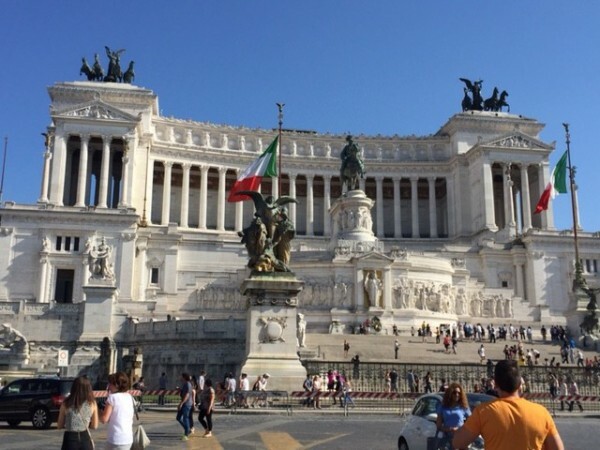 Designed at the end of the 19thCentury as a monument to honour Vittorio Emanuele II, the first king of a unified Italy, it features a huge equestrian sculpture of him, as well as statues of the goddess Victoria, Corinthian columns and fountains. For a fee, you can take a lift to the very top where you can enjoy stunning views over Rome. 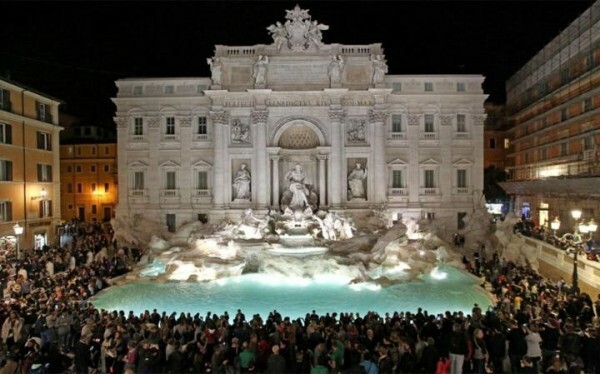 The Trevi Fountain is more hidden away, but can either be visited very easily from Monti, by crossing the Piazza del Quirinale and walking down through the narrow streets, or combined with a visit to the Spanish Steps nearby, as well as some shopping in and around the exclusive Via Condotti. The fountain has recently had a makeover, worth £1.4m, by fashion house Fendi. It is looking wonderful, its Baroque façade gleaming white, and water once more flowing from the base of the fountain’s sea-god scene. The Pantheon is an easy walk from Piazza Navona, as you wander through the maze of narrow cobbled streets towards the Trevi Fountain. The best preserved building of ancient Rome, it was built and dedicated between A.D 118 and 125. Several famous people are buried here, including including the Italian kings Vittorio Emanuele II, Umberto I and the painter Raphael. Stop for coffee nearby at the famous and atmosphere-filled Gran Caffe La Caffettiera in nearby Via di Pietra. 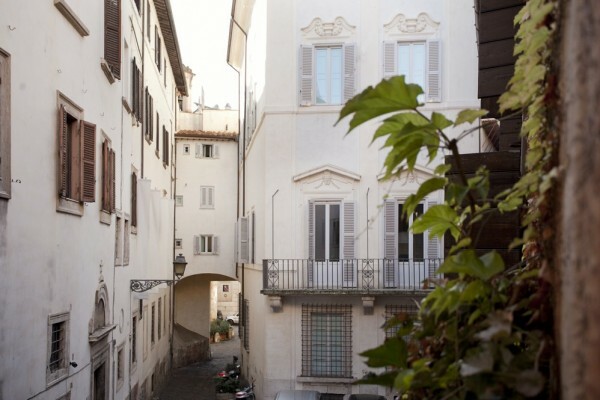 An historic Palazzo situated in one of the most desirable locations in Rome, just off the Via dei Coronari, near the Church of Santa Maria della Pace and the Bramante’s Cloister, and just a two minute walk from the Piazza Navona. 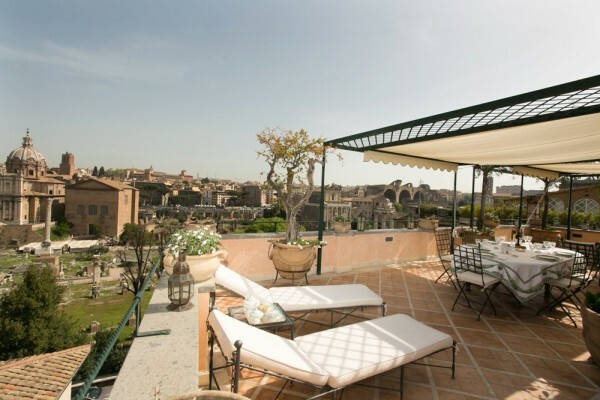 In a spectacular location in the heart of Rome, this beautiful rental apartment is in a charming street along the side of the Roman Forum, and offers stunning views of the Forum from its terraces. 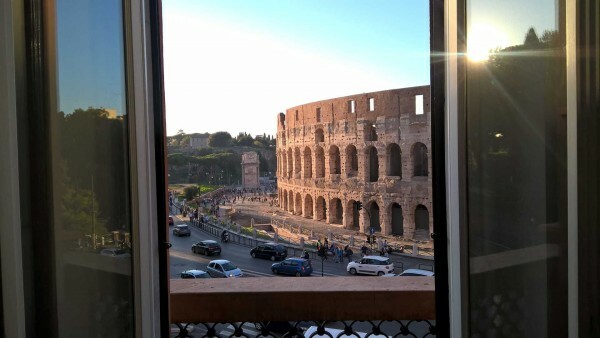 It is hard to imagine a more impressive view from your window than that of the Colosseum, directly across the road from this lovely apartment. 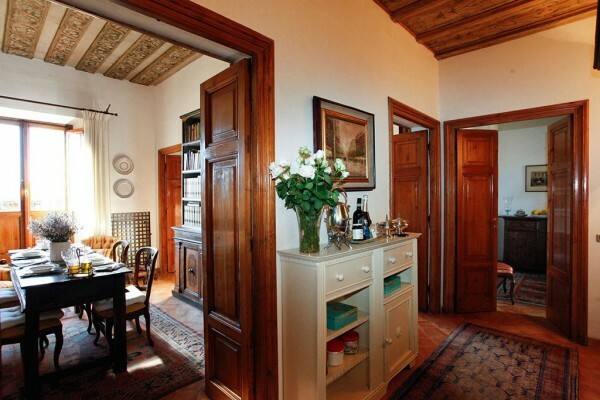 One of two beautiful apartments in the same building, at the heart of character-filled Monti. 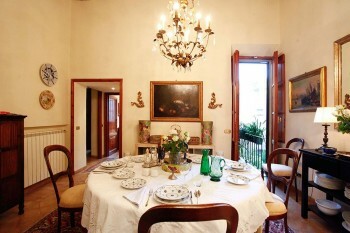 The apartments benefit from an extensive furnished roof terrace with views over the rooftops of Rome. 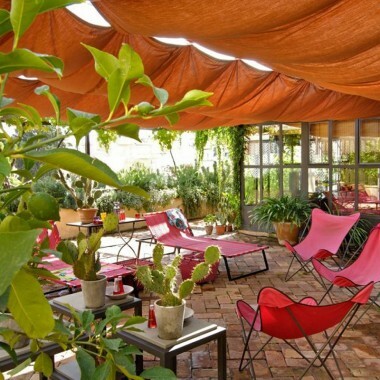 Some special extras at these superb Rome Apartments!